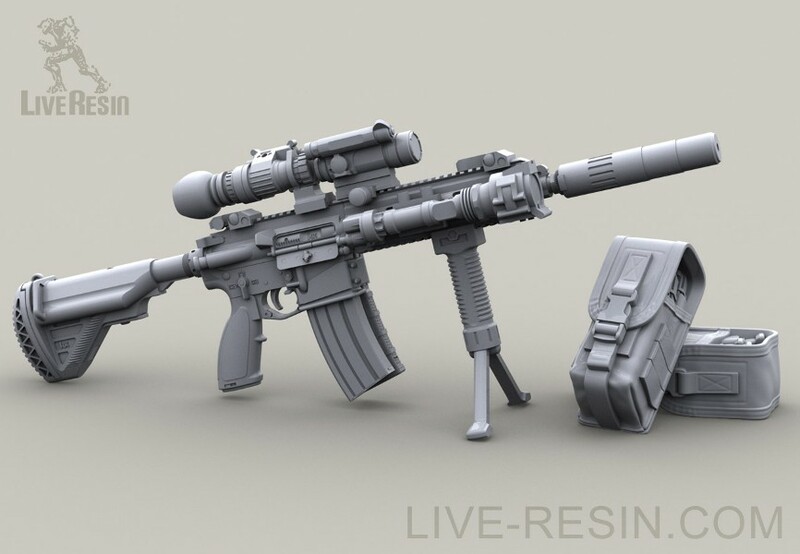 Live Resin are making some amazing miniatures of especially modern soldiers and weapons – now they have taken the cake and made a true 1/16, 1/6, and 1/3 replica model of a real HK416! 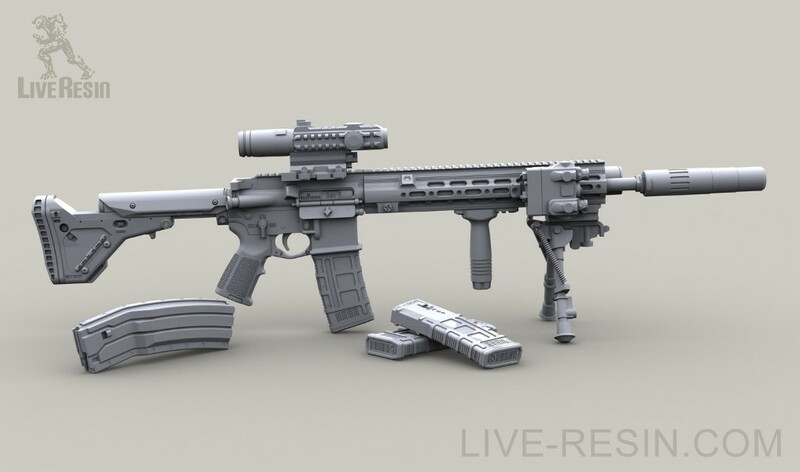 When the people at Heckler & Koch made their HK416, they pursued a single goal: To start off where comparable assault rifles have already reached their limits. 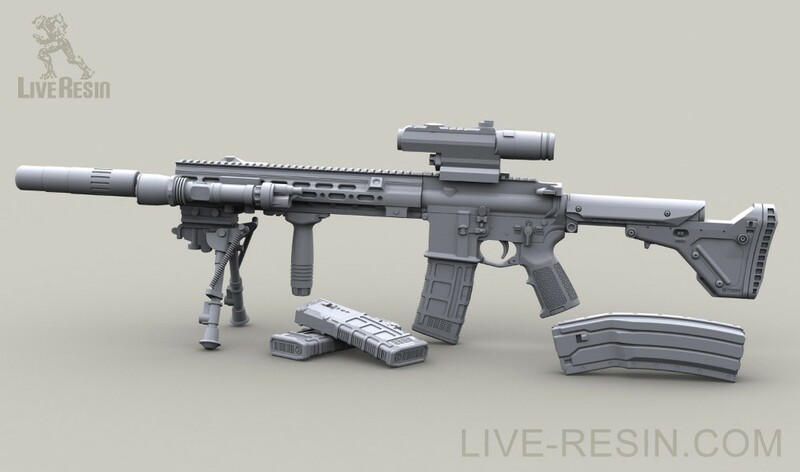 The result: Improved combat efficiency “made in Germany”. 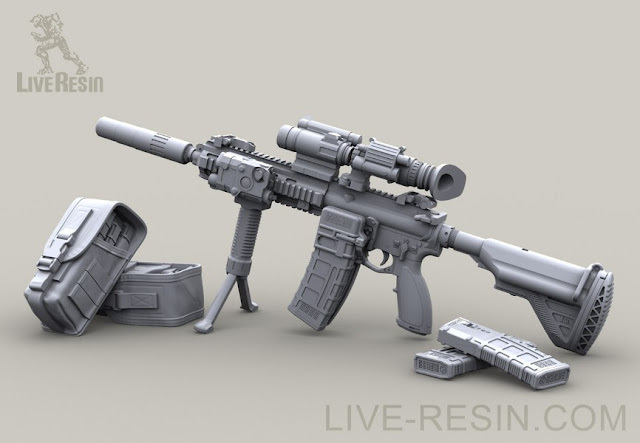 Well Live resin have pretty much caught it by the looks of it in their new scale model kits- due to be made in 1/16, 1/6, 1/3 scales. We do not as yet have release details or pictures of the kit, but Live Resin have given us these pictures of their mock ups of their kit. First recreated precisely in 1/1 scale and then reduced to the smaller sales using modern advanced 3D modelling and rapid prototyping last generation technology – hopefully the kit will be with us sometime early this year..